Anyway, life recently has been hectic with a lot of things; things that I do want to share with my readers. Unfortunately, none of my recent busy-ness has really involved sewing. Hopefully that will change soon as I’m trying to focus more on being productive. 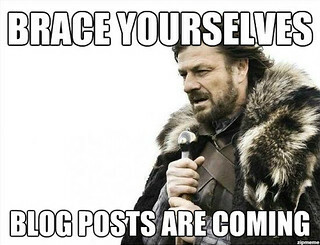 But in the meantime, I’m going to try and get some other blog posts up! The first one being about our new style of adventuring! WE BOUGHT KAYAKS! For some time we had been thinking about purchasing them but we knew that quite a few of our weekends were going to be busy with other things. So a couple of weeks ago, we had a ‘free’ morning coming up so we headed out to get our kayaks. As we had been interested in buying them for a while, we had done our research. I didn’t really want a kayak with all the bells & whistles because I had never done it before! We went against renting kayaks before we purchased them as I was pretty certain that we would like them, and I didn’t want to waste the money on renting when we could just put it towards our own. 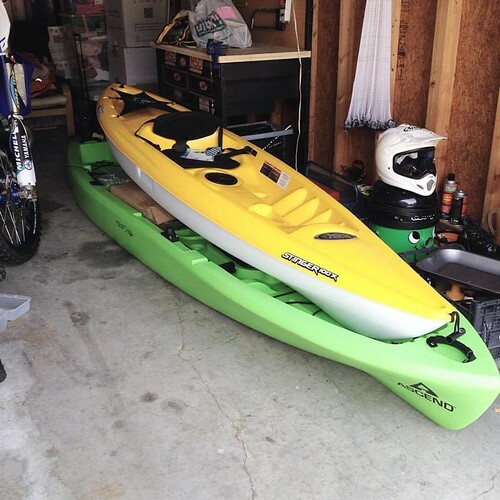 I bought the yellow Pelican Stinger 100X Kayak, which was on sale when I bought it. I also bought this paddle, which is the one recommended for my height/ weight (210cm). 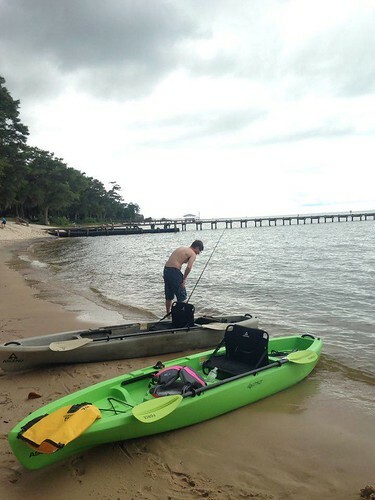 Adam bought the green Ascend FS12T Kayak, which has special features for fishing! He also bought a 240cm paddle. 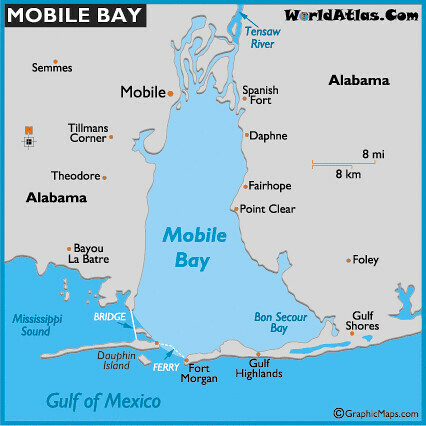 We are lucky enough to live right on Mobile Bay, which leads out to the Gulf of Mexico. For our first outing we went to the 5 Rivers Delta Center near Spanish Fort. The area around the center is popular for boating & kayaking. There are also lots of alligators but we didn’t come across any.! 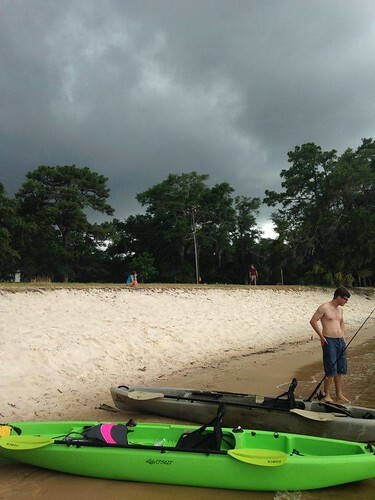 Adam’s kayak was perfect for him and he sped off up the river without any problems. However mine just didn’t seem right. I was banging my paddle on the sides of the kayak, I couldn’t lift my arms high enough to paddle correctly and the wind was turning the kayak too easily. I enjoyed it but I knew that it wasn’t the correct kayak for me. Adam’s seat is like a small deck chair on the the top of the kayak, whereas mine was recessed in the boat meaning that I had to reach higher to paddle. I was also then told that 10 foot kayaks were the hardest to steer with any wind. Complicated stuff right?! With a successful outing, we now can’t wait for the next one! Does anyone else have kayaks? Any tips for me? Your blog , you can write about whatever you like. Enjoy your kayak! Love your blog, don’t worry your great. Looks like you are having so much fun kayaking. The cat fish is a whopper🐟. Well done. Oh, Nat…..Sunday Sevens is often the only blogging I do! And I’ve had the same thoughts since, as you know, “sewing” is in the title of my own blog (and my sewing has been curtailed, if not completely derailed, lately). But as Cathy said, it’s your blog. And it’s a good one – many of us enjoy your weekly roundups, and especially featuring your sweet pups. ❤ Happy kayaking! Sounds like fun – two hours, eh? Do you eat the fish or put them back. 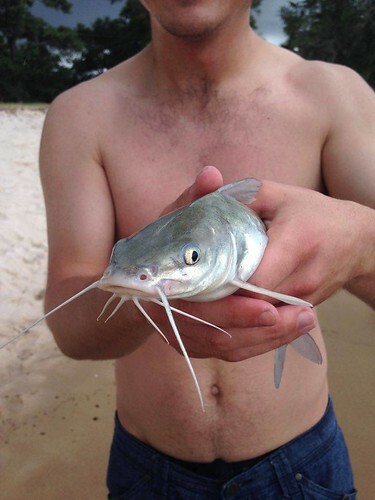 I have no idea if catfish are edible. Oh I have the same thing. I never seem to post about sewing anymore. Getting photos is just too hard. But never mind it’s always good to see what everyone else is up to regardless of whether it is sewing or not. I find it is a bit of a struggle sometimes – on the one hand it is living on the other it is recording for the blog.